Potatoes are a staple food at my house. We love all different kinds of potatoes made in a variety of ways. 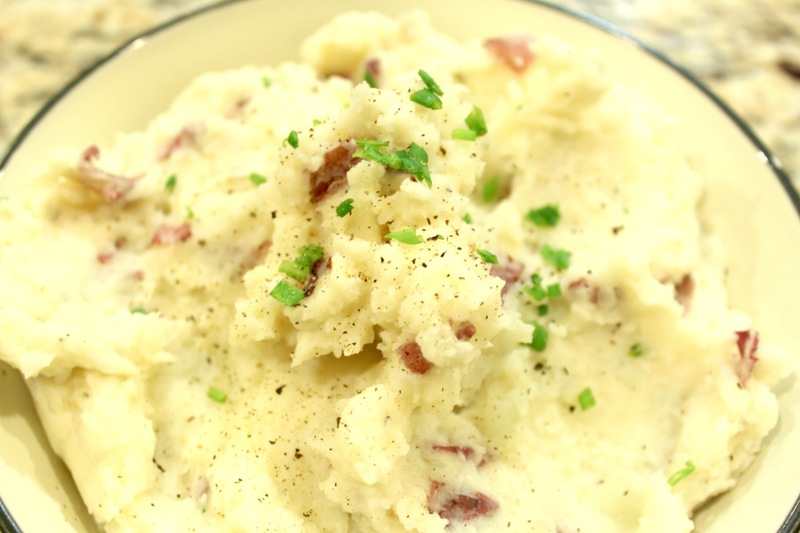 Mashed potatoes are always fun to make because you can get creative with them, you don’t just need to top them with gravy! I came up with this version of a potato dish in order to satisfy my craving for a loaded baked potato and creamy mashed potatoes. The texture of the potato skins and the flavors of the sour cream and chive create a balance between the two, making one great side dish for any entree. Directions: In a large pot boil diced red potatoes with skins on until tender by fork. Drain well and put potatoes back into pot, add butter, sour cream and milk and blend using a mixer. Add more milk if the potatoes are still too thick to acquire desired consistency. Then add garlic, chives, salt and pepper to taste. Serve immediately or cover and keep warm until ready to serve. notes: I like to use a hand mixer when making mashed potatoes. I think it is a quick and efficient way to obtain a smooth and creamy whipped texture without all the hassle of a potato ricer or hand masher. Also, you can add in some sharp cheddar cheese and some crispy bacon pieces to make this dish even more full of flavor and texture.